Men have to face many problems in their daily life so that their face. And the problems arise from the face are dead skin cells, excess oils, ingrown hair, blackheads, whiteheads, etc. Besides these, environment also attacks face with pollutants, dirt, grimes, sun rays, and much more. But, most of the men are careless about skin care. They think, only water and soap can clean all the impurities and leave a fresh face. If you think so, sorry to say, you are wrong. You should take extra care to your facial skin. Only a nice and effective exfoliation can remove all the impurities. And scrub is best at it. For your manly face, I listed some best face scrubs. So, try one and get the fresh and rejuvenated face. The core elements of this face scrub are volcanic ash, adzuki bean powder, rice bran, walnut shells, and goat milk. It smoothly moves away dead skin cells and excess oil from men’s face. 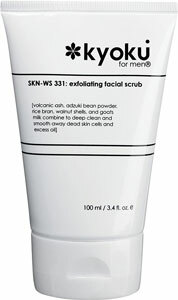 Kyoku Exfoliating Face Scrub for Men balances skin pH level. It improves the elasticity of the facial skin. It reduces the presence of fine lines and wrinkles from the face. Besides cleansing, you also get a nourishing face skin with vitamin A & E and protection from harmful bacteria. It is an exfoliating scrub especially formulated for men. It removes dirt and excess oil well without stripping the skin. Dove Men+Care Face Scrub Deep Clean Plus ensures advanced protection for dry skin. It’s invigorating scrubbing agents active on contact with the skin for effective cleansing. This face scrub is clinically tested for ideal cleansing. It also cares your facial skin. It creates a rich lather for deep cleansing. You can use this scrub to clean your face daily. It is a nice facial scrub specially made for men’s complicated skin. It contains extra fine scrub particles for perfect cleansing and vitamin E to nourish facial skin well. 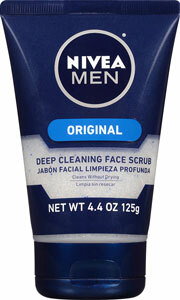 Nivea Men Original Deep Cleansing Face Scrub unclog pores for the skin’s breathability. It removes dead skin cells, dirt, impurities, and excess oils effectively from your face. Thus, this face scrub smoothes complexion by rejuvenating your facial skin. You can use this face scrub before shaving for a better razor glide and a fine shave. The key elements of this scrub are pumice, avocado, and jojoba beads. It sloughs away excess oil, dead skin cells, and facial impurities. 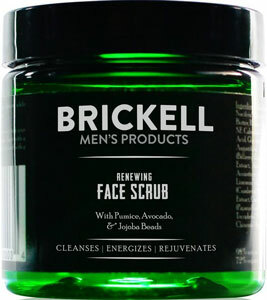 Brickell Men’s Renewing Face Scrub restores your skin for a clear complexion. It takes special cares to men’s skin of all ages. Perfect for all skin types. It removes facial skin problems like oil build up, blackheads, and ingrown hair. It gives soothing sensation with aloe vera. And nourishes your skin well with vitamin E.
This is a worthy face scrub to exfoliate, cleanse, and hydrate your skin. It also prepares your skin for a smoother shave. It is formulated with natural premium jojoba beads. Which helps you to remove dead skin cells and grimes from the face. With this face scrub, you will get a fantastic experience with smoother skin. Lather & Wood’s Face Scrub for Men is perfect for oily, dry, and normal skin types. It also unclogs pores and removes hair follicles. It is a fantastic men’s facial scrub for all skin types. You can use this scrub weekly to treat your face. The core elements of this face scrub are cornmeal and walnut shell powder. Baxter of California Facial Scrub buff away impurities and dead surface cells for a clearer skin. It also stimulates skin renewal for a rejuvenating look. It nourishes your skin with honey and lavender. This face scrub improves your tone and prevents dry and rough patches. This face scrub is made with Arabic coffee grounds and plant based potent natural ingredients from Costa Rica. It removes excess oils, sweat, SPF, and other impurities without drying the skin. Improves the overall appearance and texture of the facial skin. 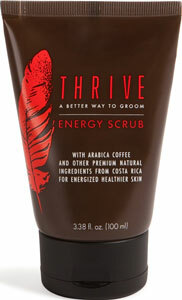 Thrive Energy Face Scrub for Men helps to protect your skin from stress and irritation. It keeps your skin safe from bacteria, fungus, and free radicals. It is 100% natural and free from artificial ingredients, synthetics, colors, and fragrance. The key elements of this face scrub are glycolic acid, salicylic acid, allantoin, glycerin, aloe, and macro-buffers. MenScience Androceuticals Microfine Face Scrub suits for all skin types. It revitalizes and smoothes the complexion of your face. You can remove dead cells and dull buildup completely. It ensures deep cleansing and ready your skin for shaving. It leaves your skin smooth and soft. Reveals skin cells for an even toned skin. You will get a refreshed facial skin within a minute. This is an effective and worthy face scrub especially made for men. It removes irrelevant skin and leaves dead weight behind. The core ingredients of this face scrub are bora white sand, aloe vera, algae, and chamomile. It also contains vitamin C to protect your skin from oxidative damages. It gives you a nice soothing sensation with chamomile, algae, and aloe vera. 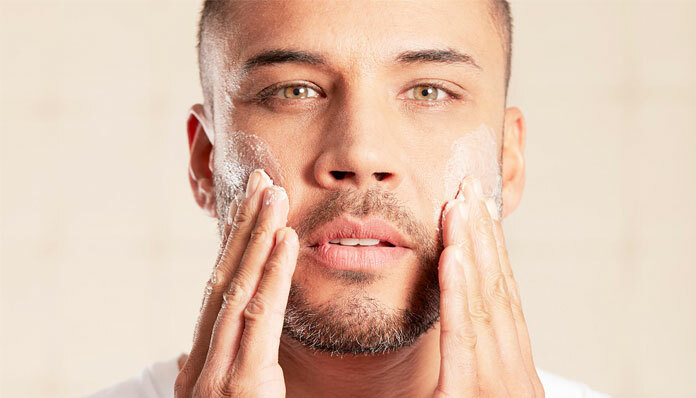 You can use Anthony Facial Scrub for Men before shave to lift beard for a smooth shave. It is a premium face scrub that delivers a perfect cleansing effect for men. It gently exfoliates, helps to prevent breakouts, and soothes shaving cuts. Besides face, you can use this on your body. It is 100% natural and suits on all skin types. It effectively removes dead skin cells, dirt, and grimes. 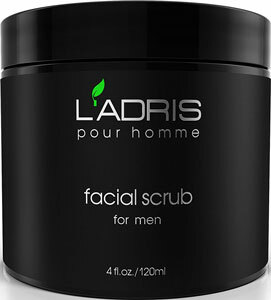 L’Adris Facial Scrub for Men gives a fresh feeling with its own natural, clean, and light scent. It is gentle enough for daily use. That’s all for today. Hope, you get the best face scrub for your face. Now you can remove all your impurities to energize your face. But, it is safe to stay away from impurities. Use a mask when you need to go through the dusty place. And never forget to clean your face after coming back home with scrub or face wash.
A father of two daughters. Working as a Web Content Writer. I basically write on beauty, skincare, fitness, personal branding, digital marketing, money management, etc. In nature, I am not so much extrovert but committed to finishing my tasks in time. FaceCareTalks is a list of the best-selling beauty and skincare products from Amazon.com for people who want to save their time but like to collect the high-quality ones. Whatever the best thing you need, cream or foundation or lip balm, we make your shopping super easy by telling you the best one of the market.